This is the third year that the Prairie Organic Grain Initiative (POGI) has teamed up with the Canada Organic Trade Association (COTA) to produce Organic Agriculture in the Prairies, responding to the demand for organic data specific to the Prairies. Knowing how many farmers are producing different organic crops allows organic stakeholders to be proactive and resilient by adjusting their programs accordingly. The data also allows businesses in the organic sector to plan, take advantage of opportunities, and prepare for future challenges. Organic Agriculture in the Prairies – 2016 Data Report supports engagement with the government and policy asks that rely on an understanding of the current trends and opportunities within the organic sector. Further, robust statistics show others that the organic sector is well-organized and professional and that it should be properly supported. Jill Guerra is the lead on research and data projects at the Canada Organic Trade Association (COTA). 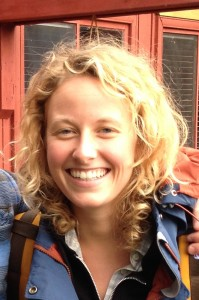 She has an academic background in sustainable agriculture, Economics and International Development with degrees from the University of Guelph and the University of British Columbia. Her Master’s research examined the extent to which a school feeding program can create an incentive for farmers to transition to agroecological and organic farming in southern Brazil. 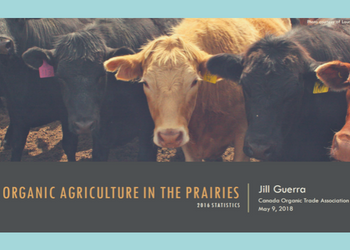 Jill leads various research projects at COTA including the Organic Agriculture in the Prairies Report. COTA’s mission is to promote and protect the growth of organic trade to benefit the environment, farmers, the public and the economy. COTA recognizes the business of organic farming as the foundation of the organic sector, and works to connect everyone along the organic supply chain. They develop new markets and foster strong networks. Click here to visit the COTA website.